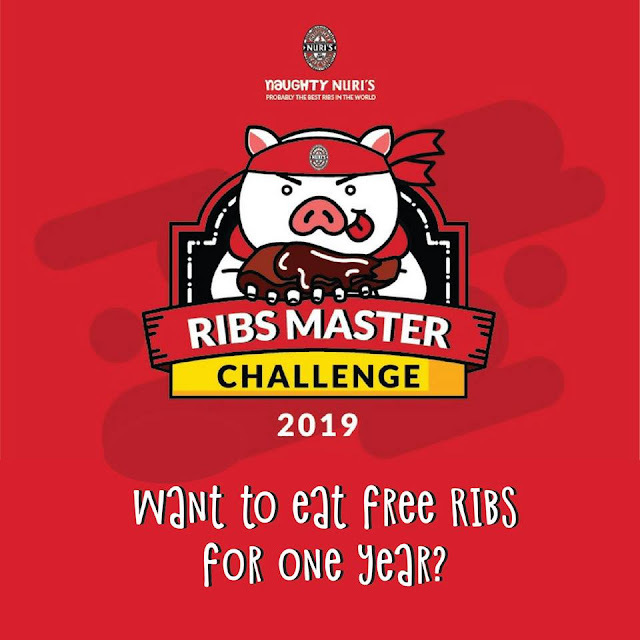 Naughty Nuri’s Malaysia is having their Ribs Master Challenge 2019. 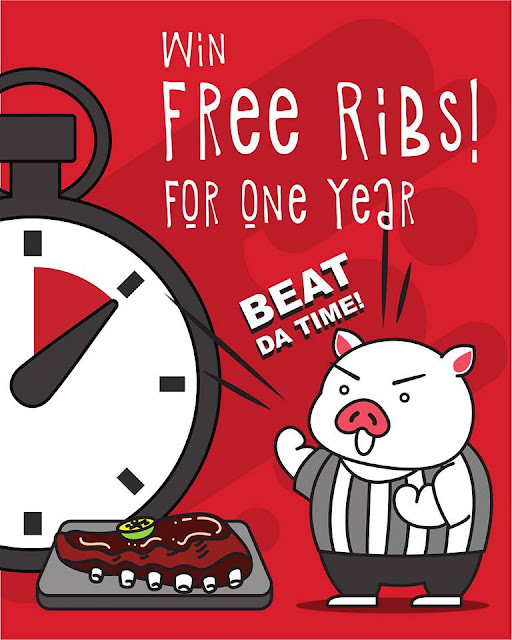 Beat the fastest time and win FREE ribs for one year and many more. 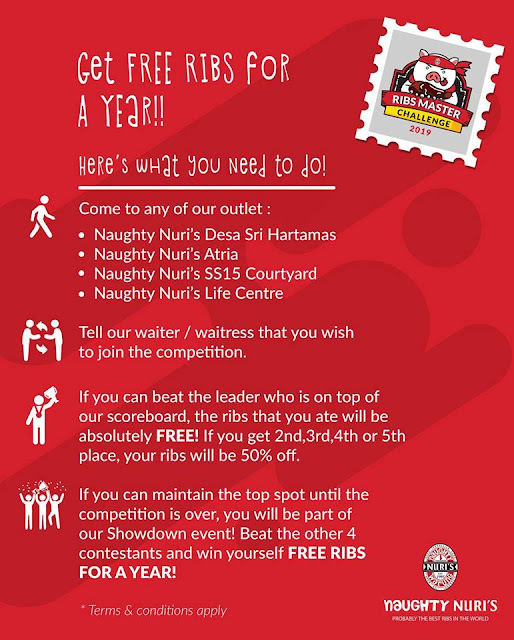 Starting from 1st September till 30th November 2018 and the Challenge can be done on Four Naughty Nuri’s Outlet at : Sri Hartamas, Atria Shopping Gallery, Life Centre, KL and SS15 Courtyard. The Ribs Master Challenge is about who can eat the 1995 signature BBQ spare RIBS in the fastest time, Participants can test their eating speed skils by ordering the rib, a referee will time all participants and a leaderboard will list the top challengers. Go to any of Naughty Nuri's outlets Listed Above, do the challenge, beat the fastest time and become the RIBSMATER!. There can only be ONE ' Ribs Master' at the end of this oinksome challenge. Expect lots of juicy, delicious moments. Cheering and Laughter blend together when watching our beloved friends taking the challenge, The different of person expression Shown in everbody faces. 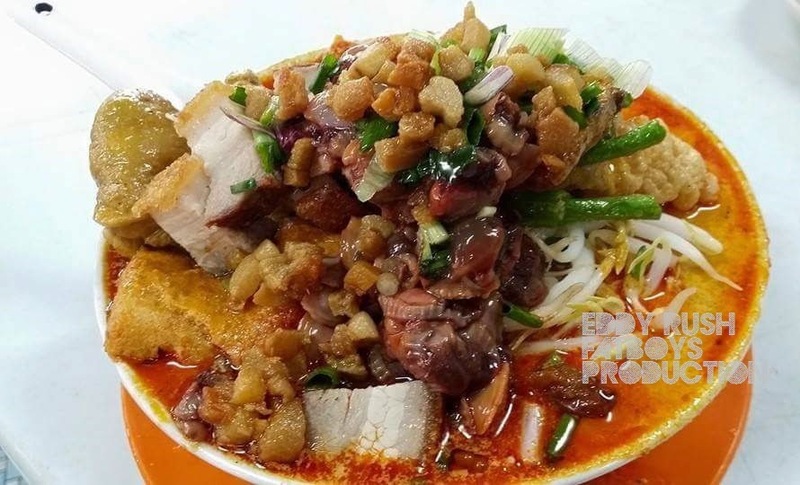 It was certainly a gastronomic journey at Naughty Nuri's and the new creations are something to look forward to, Thanking the peeps at here for their warm hospitality. 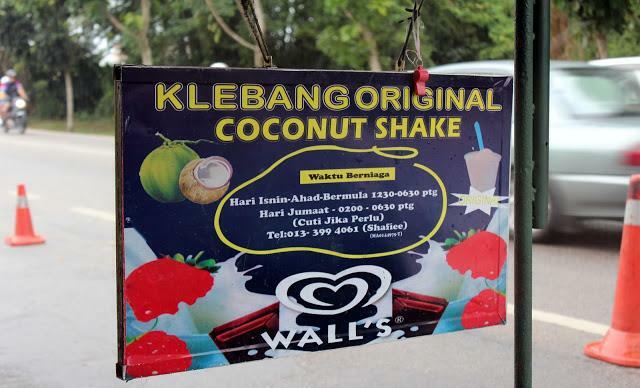 As a whole, we are very positive with this outlet of Naughty Nuri’s Atria Shopping Gallery. 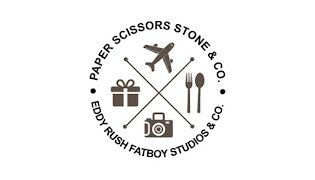 Reservation is recommended for groups during holidays or Weekend. Guys, These dishes above wasn't for the Challenge.. I just sharing the delicious portion from Naughty Nuri's. Good luck on you guys for taking part in the Naughty Nuri's "RIbs Master" Challenge, The most recent 08/10/2018 records is below than One minute. 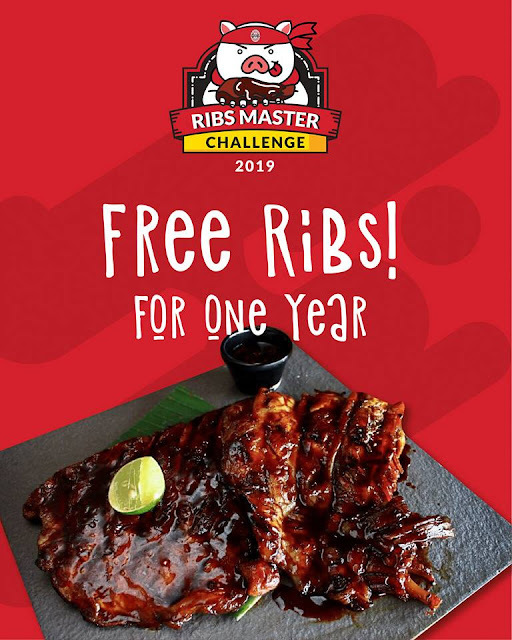 · Participant must purchase their own ribs for this challenge. · Participant must fill up and sign entry form accurately. · Contestant will have to beat the time displayed on the scoreboard. The objective is to eat your ribs and finish them in the fastest time possible. · Open to all participant above 13. Age 13-17 must get parents/guardians consent. · Below 18 must get parents/guardians signature. · No alcohol consumption during this challenge. 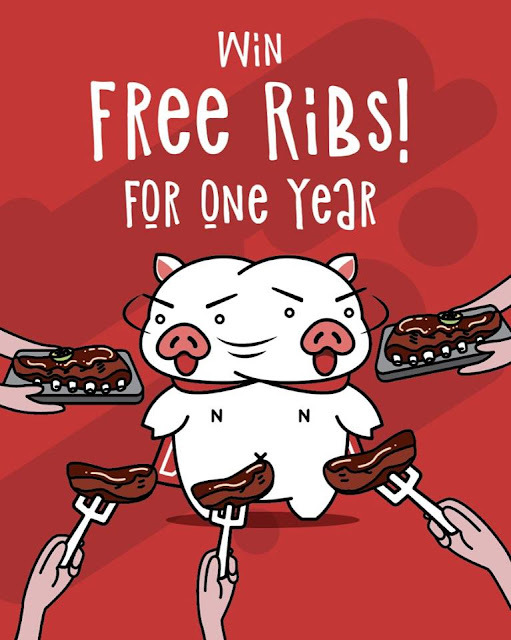 · Size and weight of the rib may vary from one rib to another. 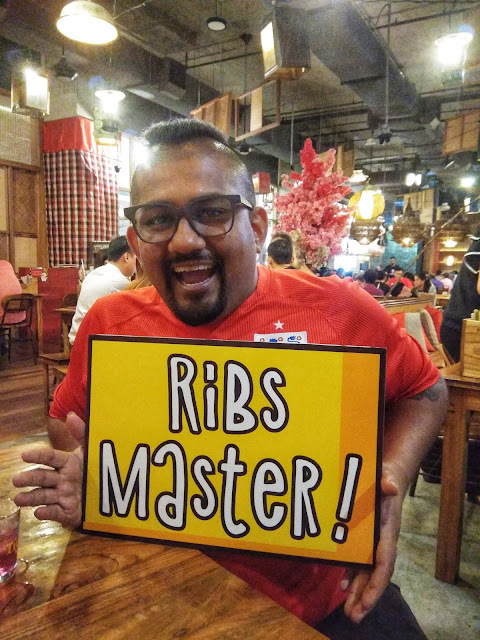 · Contestant must not touch the ribs before the timer starts. · Winning participant will be decided by the staff and compare it with the time displaced on the scoreboard. · All posts must be set to public on their social media pages. · Naughty Nuri’s will be free to use he/she image for any advertising purposes.